Festivals and summer parties are a great time to enjoy yourself with friends, however, you want to remember your time for the right reasons. So whether you are off to a festival in Scotland or heading abroad, here are some tips to help you make the most of it and stay safe. Stay with friends and look after each other – decide on a group rendezvous point in case anyone gets lost and pitch your tent next to an obvious landmark. When it comes to drinking, try and pace yourself. Drinking water between alcoholic drinks can prevent you getting dehydrated and reduces the effects of a hangover. Pack contraception – and remember to use it! Alcohol and drugs affects your judgement, which can mean you take more risks, like not using condoms. If you’re concerned about someone, get help straight away, but don’t leave them on their own! There are medical facilities and welfare zones at all festivals. It’s important to be honest with professionals about what you or your friends have taken. There have been a number of reports showing high potency ecstasy pills in circulation, as well as a high variation in strength between pills. There is no way of knowing for sure what is in a pill or powder, or what other substances it may contain, with many differing in strength. This means the immediate effects can vary and there is the possibility of accidental overdose from taking too much as the strengths of substances are unknown. Everyone is different and ecstasy can affect people in different ways. Mixing more than one drug, including alcohol, increases the risk of unpredictable side effects, including overdose. “The main issue is the increase in ketamine use and the levels of MDMA within ecstasy tablets currently in circulation. After consultation with other drug professionals I am concerned about the variance in dose in ecstasy tablets. 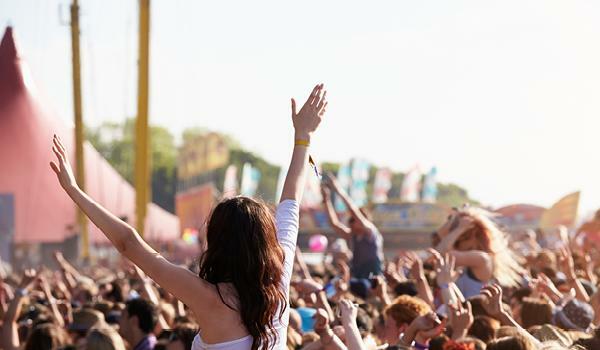 “Aside from alcohol, ecstasy (or MDMA) is one of the most common drugs we see at festivals. Some pills have been found to contain more than double or even triple what would be considered a normal dose. Even pills that look the same can vary in content. MDMA can also be found in crystal form which makes it very difficult to judge what one dose would be and its strength can vary a lot. It’s important to look after your friends and ask for help if needed. If someone collapses or is unconscious, call for help immediately, turn them onto their side in the recovery position to avoid choking and stay with them until medical help arrives. There are welfare teams at festivals but it’s important to be honest about what you or your friends have taken. Get the facts about ecstasy. Or, for confidential advice, you can call the Know The Score helpline on 0800 587 587 9 or email.